Winter has arrived. Along with the season changing to cooler temperatures our bodies need to be taken care of and adjustments need to be made. Heating our house, and facing the elements outside can wreak havoc on your skin. Transitioning from a warm heated environment to frigid cold can be challenging. Staying warm but not overheated is essential and keeping well hydrated a must. It’s difficult to remember even in the cooler weather keeping hydrated is necessary to keep your body healthy and clean. It’s best not to overindulge in caffeinated beverages because they act as a diuretic and you eliminate more liquids from your body than you are aware of and it makes it doubly hard to stay hydrated. Drinking herbal tea is a great way to compensate and keep warm, but regular plain water is really the best. Being a coffeeholic I can attest to how difficult it is to cut back, but the more caffeinated drinks you ingest usually results in drinking less water which results in drier and older looking skin. This is not the direction you want to go if you want to look younger and have pliable skin. Obviously, diet is also important as well. It’s important to eat healthy foods. Cut out junk food, lower the sugar and salt level and you’ll see an improvement in your skin and feel healthier never mind losing unnecessary weight. Olive oil is a great natural way to keep your skin looking good since it’s filled with vitamins, minerals and proteins it acts as a moisturizer and it can even be used as a makeup remover. A few drops in the bath, or diluted with water and rubbed directly onto your face and lips is a great way to keep your skin soft. In fact its great ingested as well and acts as a natural healthy lubricant by helping your body eliminate wastes while adding healthy fats and vitamin E while adding other nutritional benefits. Since most people usually don’t carry a bottle of olive oil in their handbag I suggest always having a bottle of water, good lip balm and a moisturizer on hand especially in the cooler months. Carry lip balm, moisturizer and a bottle of water when out of the house. 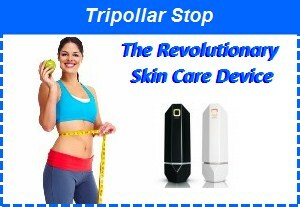 This entry was posted in Skin Care and tagged healthy skin on November 24, 2013 by admin. During our daily routines we encounter all sorts of elements that affect our skin. Whatever parts of your body you don’t cover with your clothes is exposed to sun, car exhaust, air conditioners and heaters, to name a few. All of these can cause your skin to dry out and cause it to get dirty. Our skin is our biggest organ which is exposed to the most abuse. Just taking a shower and using an ordinary inexpensive bar of soap that doesn’t have moisturizers can cause dry skin and flaking. Soaps have different formulas for different skin types: oily, combination (normal), sensitive, dry and sun-damaged. You should be careful that the soap that you use be suited to the type of skin that you have. It’s always best to use all natural soaps that don’t contain alcohol, chemicals, and artificial fragrances. 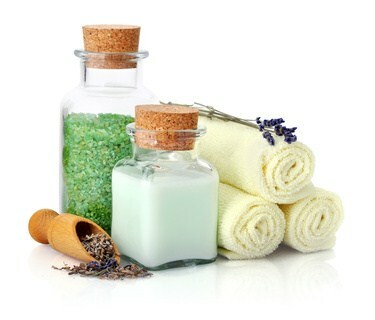 Soaps that contain natural oils such as olive oil and shea butter are recommended. Some even have oatmeal added as an exfoliant, so you get two for one. It’s important to remove dead skin and the best time to do this is when you shower or bathe. A natural loofah or even an artificial one works wonders to remove dead skin and helps clean your pores , restore circulation leaving you feel invigorated and healthy. After your shower or bath is the best time to use moisturizer and keep your skin hydrated. Add moisturizer when your skin is warm, after you exfoliate and even shaving helping it remain soft, smooth and supple. Your face will require a different type of moisturizer than the rest of your body, so be sure the type you choose matches your needs and won’t end up irritating and causing discomfort. You are what you eat. Your skin reflects what you ingest and if you are eating an unhealthy diet it’ll show. High fat food, highly processed foods, not enough fibers, too much sugar not only contributes to being overweight but can make your skin break out. By eating the right foods you can minimize acne, and to a degree even prevent common skin problems. Eat fruits, vegetables, legumes, grains and beans and limit caffeine. Stick to healthy juices and hydrating liquids such as water which cleanses your body, and keeps you hydrated. Your skin will thank you. Use natural soaps that do not contain alcohol, chemicals and artificial fragrances. Exfoliate using a natural loofah or a synthetic one. Don’t overdo it and don’t scrub areas where there are open wounds. Rinse the loofah and keep it clean. Moisturize after your shower or bath. Use ones that are recommended for your particular skin type and remember you need different ones for your face and body. If you have been exposed to pollutants use a gentle nondrying skin wash with luke warm water. Eat healthy foods. Cut down on greasy, high fat food and overly processed ones. Stick with fruit and vegetables and other healthy food and drink lots of water. 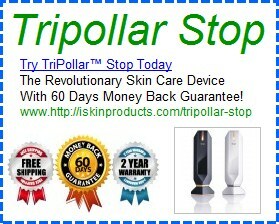 This entry was posted in Skin Care and tagged healthy skin on October 21, 2013 by admin.